As an Atlanta native and Hawks fan, I have watched the evolution of starting small forward Kent Bazemore. He began as an undrafted rookie signed to a 10-day contract by the Golden State Warriors. That led to playing with the L.A. Lakers for a year which led to a 2-year deal with the Atlanta Hawks and now a 4-year, $70 Million deal this offseason. How did he go from the bottom of the NBA to one of the most coveted starters? It all started with his ability to NOT sit quietly on the bench. I know you’re mad you aren’t out there playing. You’re probably thinking you’re a better basketball player than that teammate who is out on the court instead of you. But you know what? It’s not about you. And that attitude may be the very reason you are sitting on the bench. Remember, 95 percent of the way people communicate is nonverbal. That kind of quiet, negative energy you are communicating not only hurts you, it hurts your team. Yes, you can actually drain energy from your team by sitting there quietly. Think about it. Have you ever seen a great team that didn’t have committed and vocal benches? I haven’t. And I have never seen a consistent vocal bench not be a committed and connected team that had some level of success. There is so much more value you can bring to your team than the minutes you spend on the court. Bazemore brought value as a great teammate on the bench which ultimately led to being a solid back-up and then a starter. The fact that you are reading this blog says that you have a desire to improve. Now it’s time to get to work and put your thoughts into action. Encourage your teammates. Anybody can encourage. If your teammate dives on the floor after a loose ball, celebrate their hustle. If he turns the ball over and starts to droop, give him some energy and encouragement to get back on defense. Give reminders. There are a hundred different things you can say during the game: “block out” “shots’ up” “stay powerful.” Constantly give reminders to help your team be successful on the floor. Watch this video about giving reminders. Repeat what coaches say. If you don’t know what reminders to give or what to say, repeat what your coach is saying. Back him (or her) up. Watch this video about bringing energy from the bench. Accepting your role as a bench player right now doesn’t mean you are accepting it for the long term. Accept the role that your coach has given you but prepare every day for the role you want. Accept the role you have, but prepare every day for the role you want. Sitting quietly on the bench isn’t preparing for the role you want. It’s pouting about the role you don’t have. No coach and no teammate wants that. Winning teams and cultures that I have both been a part of have no tolerance and patience for it either. I, too, was once a backup. As a matter of fact, I was a third-string point guard at different points in both my High-School and College career. But because of how I prepared for the role I wanted both in-season and off-season, I eventually became a starter. It’s not easy, but that is exactly why it’s worth it. So be different. Be special. Be the teammate your basketball team needs you to be. 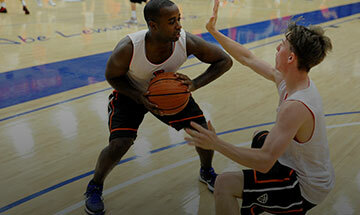 Make the decision to bring energy, noise and communication to your bench. By being an inspiration for your teammates, you have now become a better leader and have ultimately made your team better. Coaches love players who make their teams better.